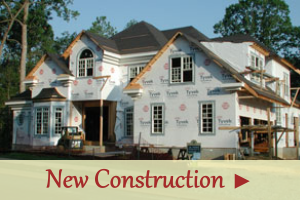 "We contracted with Andrea to sell our lot after receiving a recommendation from a friend. Andrea was outstanding. She was always honest and gave us the facts about lot sales in the area so we would understand the pricing, etc. Although lots normally take up to 2 years to sell, she sold ours in 5 months! We were thankful for her expertise. We also asked her to look for potential houses so we can understand the housing (not lot) market in the area. We gave her some parameters and she showed us houses that fit what we are looking for. In fact, were we already retired, we would have put an offer on a home she showed us. We look forward to working with her when we are in a position to actually buy!" "I found Andrea through her website and was very pleased off the bat with her quick and helpful responses. She helped us buy our first home in 2011, and helped make it a fun, empowering experience. She caught on quickly to our specific taste and was respectful of our budget. She provided helpful feedback when it was time to negotiate, but was not pushy and encouraged us to make an offer that we were comfortable with. She helped us through a closing cost hiccup, and we have been happy in our home for the last 5 years. I have since referred a few friends to Andrea, and have heard nothing but positive feedback from them." "Andrea helped us purchase our first home in Williamsburg and the experience was positive at every turn. Her contacts helped us find the right financing while she negotiated an excellent price. When we were ready to expand, we did not hesitate to have her list our home. The house sold faster than we could have dreamed. In fact, we did not have a new home picked out and Andrea showed us properties tailored to our needs. Ultimately she found us a lot to build exactly what we wanted." "Andrea is the only Realtor I have used and the only Realtor I will ever use! She sold our house for full asking price after less than one day on the market. She then negotiated a great deal on our next property. If you want a Realtor who is knowledgeable about the area, responsive to your questions, and is a great advocate on your behalf, Andrea is your girl. I truly could not have asked for a better buying/selling experience." "Andrea was recommended to me through a friend, and she provided outstanding service. She was very knowledgeable about the Williamsburg area, found the perfect house for me, negotiated a great price, and was always responsive to my questions throughout the entire process. I would highly recommend her to anyone who needed a realtor." "Working with Andrea was a great decision. She helped us get our property ready to list and all of her advice and professional staging paid off as the second family who looked at our house put in an offer. Andrea understands the Williamsburg market and she was able to position our property so that it stood out to buyers. Our house was one of the few that sold in our neighborhood. I attribute that in part to her help and guidance. If you are looking for a real estate professional who will get your house sold, Andrea Pokorny is the agent for you." "We first met Andrea over 5 years ago, to explore the possibility of relocating to VA from TX in order to be close to our grandchildren. Throughout these past years, Andrea continued to send us property information so that we could monitor the VA real estate market. When the time arrived for us to make our move, Andrea took us to numerous neighborhoods so that we could narrow down our search criteria. We were fortunate to find a townhouse we love in The Mews and with Andrea's assistance, we were able to negotiate an offer that fit into our budget. The loan application and closing process went very smoothly and we are happily getting settled into our new home. We definitely recommend Andrea for your real estate needs." "I live on the west coast and co-owned a townhouse with my son in Williamsburg that we wanted to sell. My first attempt at finding a local realtor via the internet was a disaster and a huge waste of time. So I started perusing local agents and looking at reviews, which is how I found Andrea. She returned my initial call promptly and essentially took charge, directing my son on the necessary improvements, providing local reasonably priced painters and craftspeople and even setting up appointments. She really worked this listing and I believe represented us with the same amount of diligence she applies to much higher value homes. This particular property sale fell through twice, both due to the HOA rules, but Andrea did not give up or put us on the back burner. When it did sell, she streamlined the closing process for us. I highly recommend Andrea as a reputable, responsive realtor." "We were first time sellers. Andrea walked us through the entire process from telling us what we should repair before putting the house on the market, to arranging for pictures, negotiating with the buyer, and supervising final repairs. But her knowledge and expertise really showed because we moved half way across the country during the process! Everything was done by email, phone, and texting. Her responses were prompt. Her explanations were complete. We recommend her highly." "Andrea was amazing in every respect in helping us to buy a house. She is very professional and nice. She showed us lots of good houses over a short period of time. She was able to estimate the cost of needed repairs in every house. She gave us great suggestions about the bidding price for the house we liked best. Negotiations went smoothly and quickly. We got unexpected complications with the seller when it came to repairs, and Andrea showed great skills and determination in resolving an unusual situation. In the end, all repairs have been done and we bought the house. By the way, Andrea's house inspector was great: he found very important stuff. Closing was quick and easy. After closing Andrea gave us lots of good advice and a list of her contractors." "I have used Andrea to purchase two homes in the Williamsburg are recommended her countless times. Very pleasant to deal with and extremely knowledgeable!" "Andrea had worked with my Mom a couple years ago to list and sell her home and my Mom was thrilled the job she did in listing the home, helping her to showcase it to maximize interest and then to help her with negotiations where she eventually sold it for a price she was happy with in less than . So, my wife Jill and I already had a great impression of Andrea's work. When we decided to explore buying a river front house that caught our eye in the newspaper, we immediately called her and we were inside reviewing the house a few hours later. Working closely with Andrea, we eventually signed a contract to buy the house at what we thought was a great price about a week later after a couple rounds of negotiation. We found her to be very professional and knowledgeable. At the same time, she would give a personal opinion if we asked for it and we could tell it was an honest opinion. She helped us analyze the pros/cons we were thinking about, but didn't try to influence us just to make a sale. She also did a great job of working some of our negotiation thoughts into legal language for our sales offer proposal which ultimately turned out to be very effective in helping us get the house on the terms we wanted. After our offer was accepted, she checked with us for approval, but essentially set up all the usual inspections and surveys which were all done within a week. As we prepared to close, she even spent considerable amounts of her own time (with owner's approval) letting contractors in the property to begin estimates for some renovations so we could immediately start construction work after closing. In summary, Andrea is great at doing all the things that a prospective home buyer needs to effectively evaluate, prepare offers for and close on a property. We give her the highest possible recommendation for anyone looking to buy or sell a home in the Williamsburg region." "Our experience with Andrea was great! We looked for and bought a house in Williamsburg while living in California, an experience that could easily have been daunting, but Andrea made it go very smoothly. She got a good sense of what we were looking for before we came out so that we could make the best use of our 3 days of house hunting. Both my husband and I appreciated her input while we were going through houses. In particular, we appreciated her input on neighborhoods, the general area, and on what things in a house make it better or worse for resale. After our offer was accepted, Andrea represented us at our house inspection and we completely trusted that she would look out for our best interest. We would definitely recommend Andrea!" "We first contacted Andrea in 2009 when we were planning to move to Williamsburg, VA. the following year. I lost count of how many homes we were shown (15 maybe?) but after a few months we decided it would be best to rent a townhome that first year and get to know the area better. As that year drew close, we picked up the search yet again! I would think 25 homes was a good "guesstimate" of how many we toured in the Williamsburg area during 2010. Andrea took out out a number of times and we'd see 4- 6 homes at a time. She ALWAYS remembered what we were looking for and knew what would and wouldn't work for our needs. After several months, we decided it would be better for our commutes to move closer to Norfolk so round three began! She stuck with us as we looked at homes in Norfolk/ Virginia Beach/Chesapeake & Suffolk!??) And it was wonderful for us to work with a real estate agent (we were buddies by then!!) who had that "history" with us making the home search alot more comfortable. She was out of her territory put she knew US and was determined to see our home search through to the end! On Mother's Day 2011, she had arranged for a local agent to show us what would soon be our new home. Andrea came down to walk through with us as well and guided the sale all the way til we got the key and moved in July 1,st! So well over 2 years of home searching went on and we could NOT have done it without Andrea..nor would we have wanted to! She truly is a one of a kind professional!" "There are little "extras" that Andrea does that we haven't experienced with other realtors. She brings in a professional photographer and suggested staging. It made the house look perfect. Unfortunately timing was still down for the price it should have brought but Andrea got it sold when the previous realtors couldn't, in a hard economical time. She is no nonsense and will tell you what you need to hear. We would trust her incredible expertise in even the most difficult of situations!! Andrea is who you need if your doing ANY real estate transactions." "We were really happy working with Andrea on the purchase of a house in Williamsburg. We were new to town and she took time to listen to us about what we were looking for and then sending us options that matched our criteria. When we found something we were interested in seeing, she got us in right away and was always prompt and responsive to our questions. But what was best about Andrea was how well she knows the process of buying a house in Virginia. When questions came up regarding our purchase, she gave use all our options and suggested the best course of action and her instincts were correct. She was excellent at negotiating on our behalf and the purchase of our house was extremely smooth. Her knowledge gave us a lot of confidence in the purchase and we did not have to stress about details or price or any of the typically challenges in buying a house. Overall, we were very happy we had Andrea as our agent and would definitely recommend her." "Andrea was great at understanding what we were looking for and never tired from showing us many houses. She wanted us to be sure we were certain about a house before we committed to it. She was awesome at pointing out the pros and cons of each house she showed us. We still call upon her for recommendations for any services we need and have never been disappointed. We would highly recommend her for all real estate needs!" "Andrea worked well with us. We were not in a hurry to purchase and were very exact in what we were looking for. She kept the properties we looked at very close to our price range and did not try to push us into making a decision. We have recommended Andrea to others for both home purchase and sale." 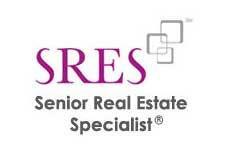 "Great realtor for the Williamsburg area! Local who knows her way around town. Very helpful navigating paperwork for first time homebuyers. Have recommended to many friends and co-workers." "We bought and sold our home with Andrea and couldn't imagine having anyone else. Her knowledge and insight was remarkable. She clearly had our very best interest in all stages of our purchase and selling experience. We were grateful to have her on our side! We trust all her advice, and appreciated all the suggestions she offered." 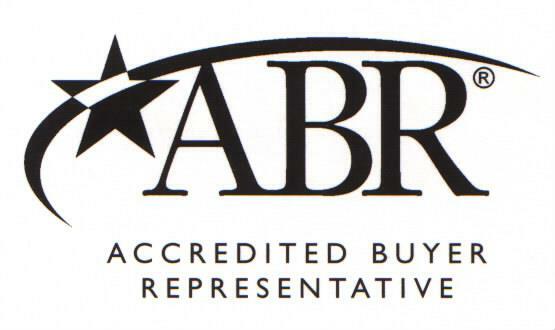 "We have worked with several realtors over the years and Andrea is the best. She is very professional, knowledgeable, reliable, considerate, and responsive. She sold our house expeditiously and for a good price while also finding the new accommodation which we bought. She was excellent at handling both our sale and purchase. We highly recommend Andrea Pokorny." "Andrea is very knowledgable with regards to the area and the local market. Even though she has a very busy family life, she was very generous with her time and gave us all the time and effort we needed to find just the right home for us." "Andrea helped us buy some waterfront property recently and did an awesome job. Her local knowledge of the area, the people, and the process to get this done quickly was impressive. We would definitely recommend Andrea and will be connecting with her again for additional real estate transactions." "Andrea was a pleasure to deal with on our multiple visits to Williamsburg area. She used her local knowledge to show a variety of neighborhoods at a time when the resale market was thin. 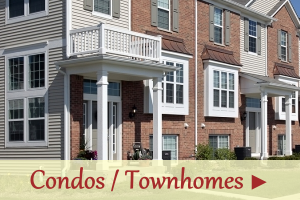 We are happy with our Fords Colony decision and would recommend Andrea with zero reservations. She's professional and personable at all times." "Andrea Pokorny was our real estate agent in the selling of our home in Williamsburg Va in July of 2013. Having sold 7 homes prior to this sale, we can say that Andrea was the best agent of all. Her marketing of the house was quick and professional. She took photographs, staged the house and was able to sell it less than a week. She was excellent in every way. We would recommend her to anyone selling or buying real estate." "My wife and I purchased our home in Williamsburg, Va in 2011. We knew we wanted to live in Willimsburg because of how nice and wonderful the area was. Not knowing much at all about the area, we were searching for houses and was led to Andrea's web site. After completing a simple registration form, we were contacted by Andrea a short time later. Andrea is of upmost prestige and professionalism. Her knowledge of the area and the home market made our search simple and easy for being the first time homebuyers we were. If you are searching in the James City County/Williamsburg area, no one knows it better than Andrea! As long as we live in Williamsburg and Andrea is still involved in real estate, she will be our Agent!" "Andrea was great in helping us buy our (first!) house. She knew when to step back and let us explore a property and when to speak up. She did not try to show us anything above our price range and did not push. She very patiently answered all of our questions and gave honest opinions. In the >2 years since we bought our house Andrea remains the person I go to for recommendations about painters, landscapers, floor re-finishers, and more. She always provides a great list of professionals and has been an invaluable resource for us newcomers to Virginia. We love our house and are not planning on changing locations anytime soon, but if we had to start looking again I'd certainly give Andrea a call." "When my family set out to look for a new home, we did so with apprehension. Our past luck with the local real estate market wasn't great, and we we were still recovering from the fallout of that. A colleague suggested we talk to Andrea; it was some of the best advice we've ever received. Andrea immediately put us at ease with her warm and open personality and her ready knowledge of the local market and conditions. She listened to our concerns and unique challenges, and took all of those into account when finding properties and guiding us through the details of searching and putting in an offer. When we found the house we loved, we were discouraged to see it was well above our price point, but Andrea encouraged us to put our cards on the table and go for it. The worst case scenario, she told us, is that we wouldn't get the house...but we'd always wonder what if? Amazingly, our offer was accepted! We were overjoyed, and so was Andrea. But her work was far from over. She expertly guided us through processes and paperwork and inspections, and was a tireless advocate in watching out for our interests and making sure nothing was overlooked that would come back to haunt us later. From the first call to the last signature on the last piece of paper that gave us our new home, Andrea stood alongside us and made our mission her mission. Now that we're in our forever home we can't imagine ever moving again, but if someone ever asked us if we knew a good realtor, we would immediately and enthusiastically recommend Andrea Pokorny." "I cannot say enough about Andrea! She is exactly what anyone would want out of an agent! We purchased a home in Williamsburg after several months of searching. We previously lived about 3 hours away and many times Andrea would work to accommodate our schedule when we wanted to see homes fresh on the market. She got to know us so well she would tell us exactly what we would love and hate about a home, and she was always spot on! My husband got a new job, was finishing a PhD, and we were expecting our third child all while moving. She often worked as our therapist as much as our agent! She is so kind, understanding, and incredibly responsive to emails and texts, at all hours, whenever you need her! :) I still text her even now for painters, landscapers, and even good restaurants! She still checks in to see how the kids are growing too! We don't have any family within 3 hours, but we have Andrea, the next best thing, and she'll always be there for us! Andrea knows the ins and outs of the Williamsburg area and made sure we found the house that was the perfect neighborhood for our children! Andrea goes above and beyond for her clients and I cannot imagine what we would have done without her!" "Andrea helped us with selling and then purchasing a new home for my father. She sold his home very quickly at a time when homes in that area were taking longer to sell. She took the time to make sure his home was ready to sell, even having it professionally staged. She then did a great job of marketing the home! When purchasing my father's new home, she listened very carefully to his preferences, then picked out a selection of homes in the Williamsburg area that fit his needs. We chose one of the homes immediately, and she did a great job of quickly negotiating a contract. Throughout the entire process, we knew that Andrea had our best interests at heart. We highly recommend her for both selling and buying a home!" "Andrea was always professional and available. She was calm and helpful during what can be a stressful time. Andrea was very knowledgeable and helped with every aspect of the home buying process. Wonderful experience!" "Andrea took me to see a lot of houses and yet never made me feel like I was taking up too much time or being unreasonable in my desires. When I found the house I wanted, she provided expert advice and excellent support. I would recommend her unreservedly to anyone seeking a fair and balanced broker who will serve as their advocate." "Andrea was always very professional and responsive to any question or concern we had. She's a hard worker. Andrea helped us through the entire process of selling our home and finding a new home. Her expertise and knowledge were very helpful." "Andrea is a real estate SHARK! Not only does she work diligently with you to make sure you are getting the home you want within budget, but she works fast and makes deals HAPPEN! I can rest easy knowing she is on our side working to get us into our dream home. Andrea helped us buy our first home in 2009 and the experience was so pleasant that it was a serious no brainer when choosing her to help us find house #2!" "Andrea was the most patient Real Estate Agent we ever dealt with. She understood our needs and only showed us properties that met those needs. She showed us over 30 properties and was knowledgeable of each property, school district, neighborhood, value of the property, and condition of the property she was showing us. She provided us a non stressful experience in a very stressful situation. She is the a true real estate professional who knows the Williamsburg housing market better than most and will go above and beyond what is expected of a real estate agent to ensure you are satisfied with your property selection. Would recommend her to anyone looking to purchase a home in Williamsburg." "Andrea is amazing. While I was at my second home in Ohio she sold my house in Stonehouse and purchased a home for me in Colonial Heritage. • I never left my Ohio house! • Before the above happened I met with her only once. • She impressed be so much that I turned everything over to her and her staff"
"We first met Andrea in 2011 when we contacted her to get an idea of homes in the Williamsburg area. Andrea spent five hours with us and showed us several properties in different neighborhoods throughout Williamsburg. The following year we returned and Andrea once again spent several hours with us and showed us several properties. As luck would have it, we were able to sell our house in NH in June of 2013. In order to sell, we had to agree to a fast closing. We called Andrea and she set up a full day's worth of showings! We found our dream home and with Andrea's assistance wrote a solid offer which was accepted the following morning. The best part was that we closed within the required 30 days!" 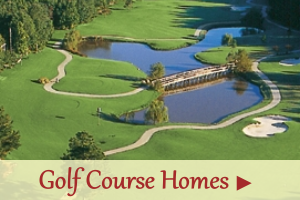 "Andrea helped us buy a condo at Braemar Creek. She was knowledgeable and helpful. We looked at a number of different communities but she convinced us that a condo was best for our lifestyle. She was right! We love our place." "Andrea is a top notch real estate agent. She knows the local market and works very hard and in a very professional manner for her clients. She helped us to find our dream house four years ago when we relocated from Cincinnati, OH to Williamsburg, VA. We therefore highly recommended Andrea to any potential house hunters." "Andrea represented me and my wife during the purchase of our home in Williamsburg, Virginia. Since I was living in Florida during the time of this purchase, Andrea's guidance helped us make the purchase and building of our new home a very manageable experience." "I was recommended to Andrea through a friend of a friend. 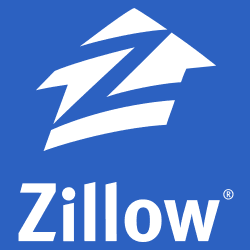 She showed me exactly what I wanted to see - houses in a 4-5 mile radius and helped me procure the perfect place!" "I have sold a purchased a few homes in my lifetime, however, I have NEVER met such an accommodating, skillful, knowledgeable, effective, and efficient Real Estate Agent before Andrea Pokorny. Andrea knows Williamsburg, VA. She was also patient and understanding. My wife and I were looking for a very specific type of home in a particular neighborhood. I think Andrea showed me about two dozen homes before we found THE house. Once we identified the house we wanted, Andrea skillfully lead us through the buying/closing process without issues. She also helped us identify a mortgage company. She was always there when I had a question; She was always there when I had a concern. Does the woman ever sleep?!? If you are considering buying or selling a home in the Williamsburg area, I can't imagine using anyone besides Andrea. In a word, she is simply the best." "Andrea is a Wonderful person and a Great agent. As a first time home buyer, she was very helpful with everything and guided me through the process with patience. She is a very nice and honest person who I would recommend to anyone looking to buy or sell a home. She made my home buying experience a pleasant one and I am very happy in my new home. Thanks Again Andrea!" "Andrea is fantastic and she helped our family both buy and sell our home in Williamsburg, all while we were across the country most of the time. She coordinated every detail and was in constant communication to be sure that it all went smoothly and on schedule. We greatly appreciate all her effort and would strongly recommend her to anyone buying or selling real estate." "Andrea is an amazing person and agent! She worked with us for over a year to us find the perfect home for our family. She is patient, kind, honest and very professional. I plan on telling everyone I know who is looking for a realtor to hire Andrea. She is simply the best in the business."